Will & Grace is back! The entire cast has reunited for the NBC sitcom that broke new ground and entertained millions from 1998 to 2006. While the characters and themes of the new episodes may be familiar, albeit updated for modern times, there's still a lot to be learned about the stars behind one of the most successful shows of all time. Here are some interesting facts about the cast of Will & Grace. 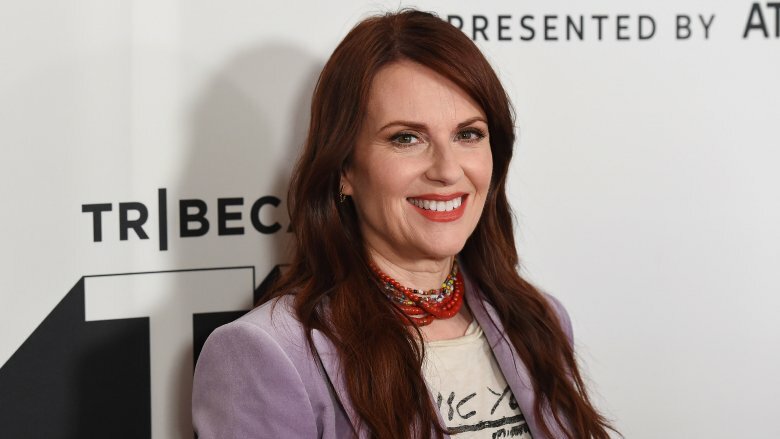 The entire leading cast initially passed on its roles, according to Megan Mullally, who played the booze-soaked, eccentric Karen Walker. In an interview with talk show host Larry King, Mulally said, "All four of us originally passed on the roles. Debra Messing was tired, because she had just done two series back to back and she wanted a break. 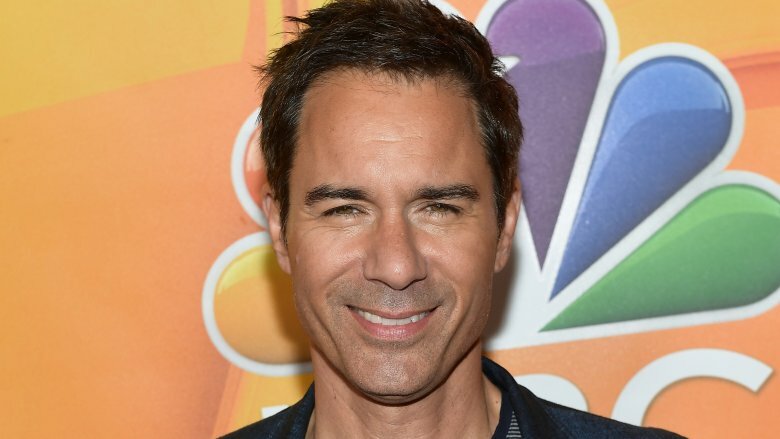 Eric McCormack had been playing a manly cowboy on a series in Canada and he didn't want to play gay, and I can't remember what Sean's thing was." Mullally felt Karen's character was "quite a lot like Christine Baranski's role on Cybill," hence her hesitation. McCormack has never echoed Mullally's claim that he didn't want to "play gay." In fact, several years after the Larry King interview, McCormack told The A.V. Club that he simply wasn't ready to commit to the series because he was still exploring options. "I was seen for the role in December of '97, which is very early for pilot season," he said. "And even though I knew I was in the running, I kind of pulled back and said, 'I don't want to commit to this.' And [Will & Grace co-creator] Max [Mutchnick] was saying, 'You're insane. This is the best role you'll ever get in your life.' And I said, 'Max. I just don't know if it's too early. I want to see what else is out there.'" Any chance that little difference of opinion made for an awkward backstage conversation on day one of the new show? Though he's best known for playing an urbanite lawyer on TV, McCormack's first break in the movie biz was in the 1992 adaptation of Sir Arthur Conan Doyle's The Lost World. Seeking to "assert" himself as a leading man, McCormack foolishly attempted a dangerous stunt and almost died in the process. "I remember we were shooting a scene in which I dive out of a boat into a river to save the kid that's in the movie. And there's no mention of a stuntman, and I was like, 'No, I'll go in,'" McCormack told The A.V. Club. He quickly realized the importance of knowing what you're doing in those situations when the "tall boots" he was wearing as part of his costume filled with water. "I start to drown, and the director has no idea why I'm flailing around. He's, 'Come on, come on!'" McCormack said. From then on, McCormack said he was quite happy to use a stuntman whenever necessary, although when it came down to it, he was still able to handle the physicality of his scenes with the best of them. In 2014, McCormack participated in My Life My Power, a mentorship program founded by mixed martial artist Daniel Puder. In a powerful video for the organization, McCormack shared some very personal and painful stories of how he endured bullying as a young kid. He said that from a very early age, he was called "fag," even though he is straight. He also recalled a particularly painful event from the sixth grade when bullies restrained him and his best friend, Bill, and made them participate in a mock wedding—to each other. "It took me years to admit this," McCormack says of the humiliating encounter that he attributed to being "always misunderstood for many years, because of course, when two guys are that close…they must be gay." Clearly emotional, McCormack also shares some advice on bullying that he gave his then-8-year-old son. "My son is one of those kids that…I don't think he's a bully. I don't think he's really being bullied, but he might be one of those kids that's right in the middle that sees somebody else doing it. And we try to remind him that it's his job, he's part of it, he's an accomplice if he doesn't speak up and help somebody." In what was probably a crushing blow to diehard Karen fans, Mullally's plans to star in a spin-off Broadway show, Karen: The Musical got scrapped at the last minute. According to USA Today, Mullally was all set to hit the boards as her buzzed-up alter ego in 2007, but the Will & Grace creators got cold feet. "I wasn't thrilled about it. We had an email exchange in which they gave me written permission. And the way that they let me know was they didn't contact me personally, they did it through their lawyer. And I was really creeped out by that," Mullally said. Of course, all parties involved clearly let bygones be bygones and reunited for the show reboot, but the itch apparently stuck with Mullally, as evidenced by this 2013 fan upload of an audio clip of her belting out a decidedly Karen-esque show tune during a live performance in Melbourne, Australia. Actually, maybe don't click that link if you're a Will & Grace fanatic, because Mullally's voice is incredible, the song is funny, and you may not be able to handle the fact that this production never happened. 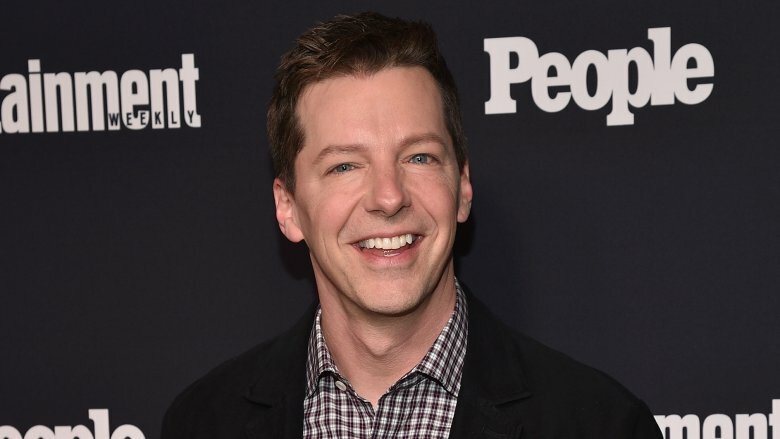 It may seem shocking today that an actor starring on a huge network show would be fearful about coming out of the closet, but 1998 was a very different time, and Sean Hayes, who plays the energetic and clearly out, Jack McFarland, felt conflicted about sharing his sexuality. Hayes, who is gay, was out to those who knew him, but remained closeted publicly for what he now feels like was too long a time. "I didn't want the responsibility, I didn't know how to handle the responsibility of speaking for the gay community. I always felt like I owed them a huge apology for coming out too late," Hayes told the Los Angeles Times. He also noted that the show "got death threats" and that "It was a really rough time for me, but I was also having the time of my life." While appearing on an episode of TLC's ancestry exploration series Who Do You Think You Are?, Hayes discovered a lot about his paternal lineage. Hayes never really knew his father— he walked out when Hayes was around 5-years-old—so he started researching his paternal grandfather and went from there. Through a public records search, Hayes learned that his grandfather died at the age of 40, apparently partly due to alcoholism, according to Family Tree Magazine. His grandfather's medical records revealed the name of his great-grandfather, Patrick Hayes Jr., who emigrated to the United States from Ireland after he was released from a brief prison stint. Why was he in jail? Well, he was accused of assault—by his own father, Patrick Hayes Sr. As it turns out, Patrick Hayes Sr.'s life was no treat either. Tortured by apparent alcoholism, Hayes Sr.'s own rap sheet was a laundry list of petty crimes, the most frequent of which was "drunk and disorderly conduct on the public street." Additional research led Sean to believe that his great-great-grandfather's downward spiral was triggered by the death of his wife, and the strained family dynamic is what led his great-grandfather to flee to America. It's a sad tale of grief and attempted redemption, a pattern Sean said he repeated when he was 24-years-old and "packed his car and went to LA" because he "wanted to get away from it." Not exactly what you'd expect from the guy whose effervescent verve somehow one-upped Kramer in the sitcom "making an entrance" department, right? 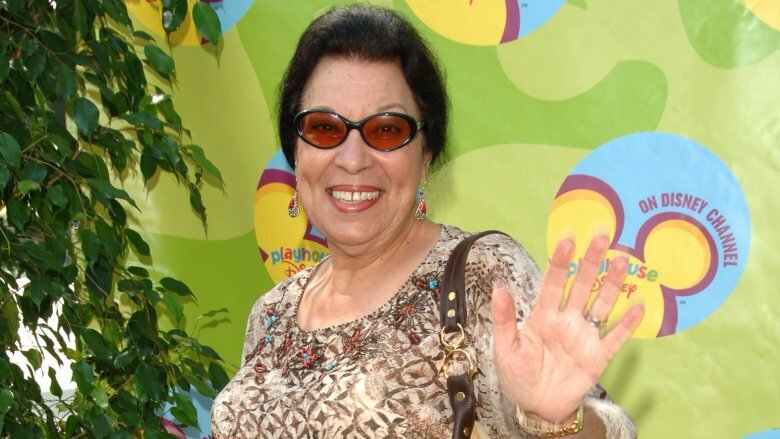 Though she isn't a household name like the principal cast, Shelley Morrison earned her comedic stripes as Rosario Salazar, Karen's fiery El Salvadorian housekeeper. Rosario's take-no-guff approach was the perfect match for Karen's drunken mania, and the show wouldn't have been the same without her. It's kind of ironic, however, that Morrison's career-making role happened to be such a well-worn TV trope, since that was actually something she tried to avoid. Speaking with the Pittsburgh Post-Gazette, Morrison said, "I had to change my name in the mid-'50s so I wouldn't be locked into only playing ethnics. But obviously that didn't work. Someone once asked me, 'Is there anything you would like to play that you haven't played?' And I said, yes, a Swedish milkmaid [laughs]." Clearly, comedy was always going to be in the cards for her, regardless of her character's background. 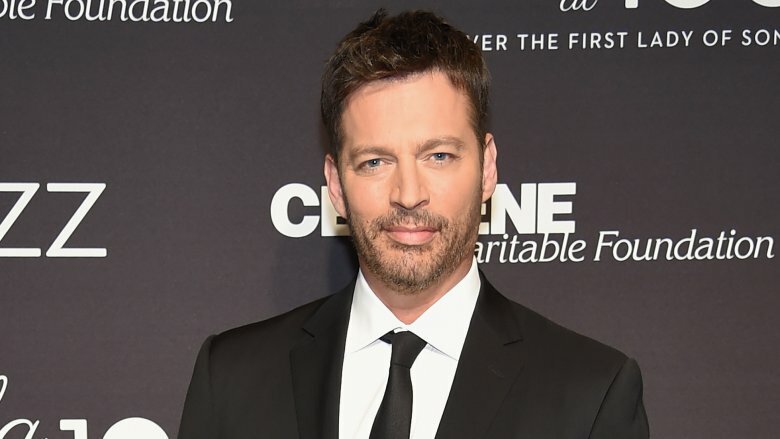 During an episode of American Idol (via the Daily Mail), Connick Jr. revealed to his fellow judges that he eats in his sleep. "I ate a whole damn bag of [kettle corn] in my sleep last night. I woke up and the bag was empty," he said, adding, "I don't remember eating it." That's it, that's the whole story. And as far as we can tell, he's never spoken about his sleep eating again outside of a single reference in his "25 Things You Don't Know About Me" feature in Us Weekly. So. Many. Questions. What does his wife do while this is going on? Does she suffer from some sort of odd "I use wet wipes on people's nasty kettle corn fingers in my sleep" disorder, which would make them the perfect couple? 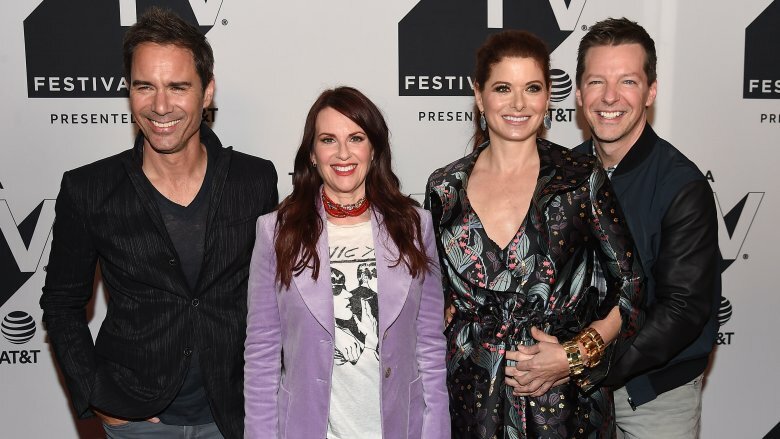 Though Karen was always the resident lush on Will & Grace, it was Debra Messing who required a bottle of vodka and two persuasive showrunners to get her to sign on for the series. Speaking with the New York Daily News, Messing said that when she initially balked at the role, producers Max Mutchnick and Dave Kohan "showed up at her door" with booze and a lot of determination. "They poured me several shots, we spoke for several hours and they pitched me the show," Messing said, adding, "I'm a lightweight. I didn't need much to be a little giddy. By the end of the evening, they said, 'Will you do it?' I said, 'Let's talk tomorrow.'" Obviously, she came around, and in case you're thinking she was somehow tricked into the gig, don't worry, Messing loved the attention. "To come from a time when you have to beg your agents to beg their friends to get you in the door to allow you to audition, it's a much different feeling to know people have faith in your work. It's really a wonderful, encouraging, exciting feeling," she said. So, for those of you out there job-hunting, go ahead and press pause on the resume-tweaking. Maybe head to a bar and start building up your tolerance (responsibly). After all, you never know when a Stoli-toting potential employer is going to come knocking. In 2017, Page Six acquired a rider for an event Messing attended at a swanky Manhattan restaurant. For those of you who don't know, a rider is essentially a list of demands—usually food and other accommodations—that a celebrity submits ahead of an appearance. Messing's rider seemed to deal entirely with ensuring that the menu was prepared in accordance with her food allergies, and it was a tall order. "Debra is allergic to ALL WHITE FISH, chicken, mushrooms, gluten, dairy, butter (except feta and goat cheese). Debra does not eat game, beans, yogurt, broccoli, cauliflower. She is lactose intolerant. She cannot have cheese or milk (only coconut milk)," the rider said, according to Page Six. But the list didn't end there: "Debra is allergic to wool, cats, cashmere, down feathers, FLOWERS and gabardine [a type of woven cloth]. The only flower she is not allergic to is orchids." The tab points out that Messing has been open about her allergies in the past and has even "credited allergy medication for saving her career." In an interview with Gluten Free & More, she said, "Overall, my allergies would take away from my feelings of self-confidence at work. I was always worrying that suddenly my eyes would start weeping or I'd be sneezy." Thankfully, Messing discovered Zyrtec and was able to soldier on, although we have to say an episode where Grace continually showers Jack and Karen in snot spray sounds right up the show's alley. Messing and her ex-husband, actor Daniel Zelman, announced their split on Dec. 20, 2011. In a statement to People, Messing's rep said, "The decision was mutual, and they remain supportive of one another and committed to raising their son as a family." Eight days later, People reported that a source on the set of Smash, the show Messing was working on at the time, confirmed that she was dating her series co-star, Will Chase, and that they'd been seeing each other for around six weeks. "It all happened very fast and it's a difficult situation," the source said. (Um, ya think?) Things got especially awkward when "a rep for the couple" told Us Weekly that Messing and Zelman were "continuing to live together" until they figured out a different arrangement and that "they have no immediate plans for divorce." Messing never directly addressed the cheating rumors and only vaguely referenced her split from her husband in an interview with Ladies Home Journal (via the Daily Mail). "I am at peace with the journey we've had," she said. "I feel like the 20 years we had together has been a huge success. And despite the fact that everything is changing, I think everyone is thriving." Messing and Chase called it quits two-and-a-half years later, according to Us Weekly, and if we had to guess, we'd say Messing's ex-husband was pretty "at peace" with that as well.